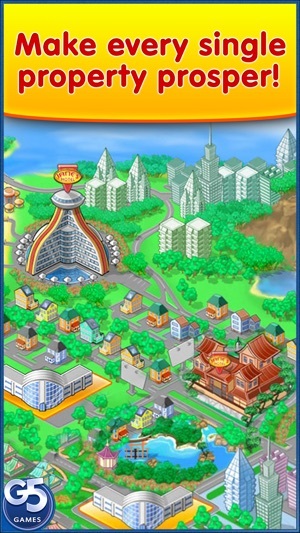 Restore your family chain of hotels in this sequel to the famous strategy game. 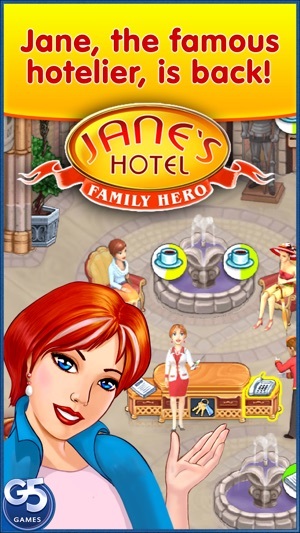 After building her own hotel business, Jane is ready to buy back her family’s chain of once glorious hotels. Explore the world’s latest trends in hotel business and make your hotels in France, England, Japan and the Canaries prosperous! 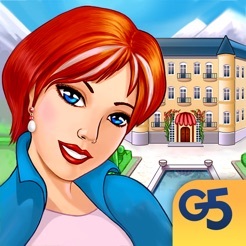 This time Jane has a few more tricks to keep her customers happy – fantastic upgrades and hardworking assistants: the young smart maid and the efficient porter will do their best to be helpful and friendly to the customers. 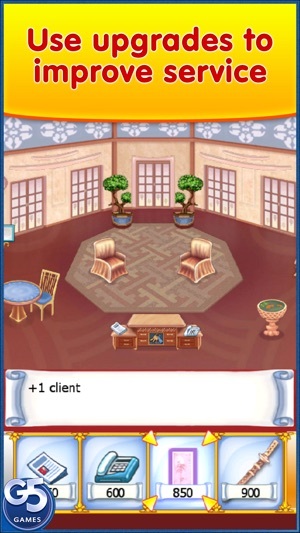 Offer your guests the top notch service and become a powerful hotelier! 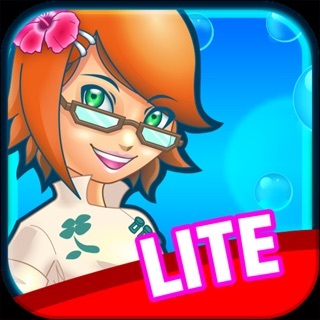 G5 Games - World of Adventures™! Expand to France, England, Japan and the Canaries! It's an alright game. But I hate games that show as free until you play to a point, then it says you have to pay to play further. Just put it in the title that it's a demo please. And I agree with the previous reviewer. The levels I played were all the same. The first and seventh level all had the same number of customers, and the same actions. 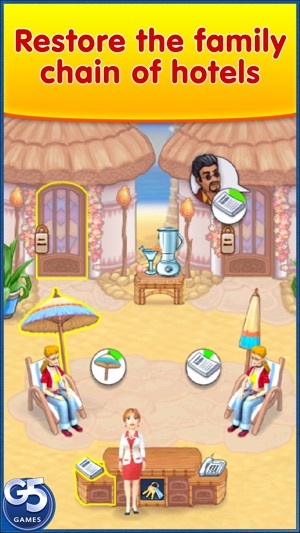 Very repetitive and seems like you're playing level one over and over. Based on the demo, I would never buy the game. Oh the stress but so fun! I usually don’t do TM games but tried this one when it first came out. Oh the stress level to get things done could make your blood pressure rise, but I had fun playing it. If you like high pace, go go go, this is your game. I will play till I can’t stand the tension then walk away. But I go back for more lol. Good job devs. The reason only 4 stars is I think the graphics could be much better in this day and age of technology. I played this game a while back on my Nintendo and I loved it! I haven’t had this on my iPad long but it seems very close to the original. I love playing the Delicious games and always loved this one. I also loved the Supermarket Mania but I refuse to play it anymore because I am soooo SICK of getting games them you HAVE TO BUY DIAMONDS OR GEMS OR WHATEVER!! I have deleted those. I’m so totaling sick of the way the game makers make the games so it’s money — money — money! I would much rather just pay for a game like this one and play as long as I’m warn too! © 2011 - 2019 Realore Studios. Developed by Realore. Published by G5 Entertainment AB.